UNDP helps countries to simultaneously reduce poverty and achieve sustainable development that leads to transformational change, bringing about real improvements in people’s lives. Amidst political instability and the deteriorating humanitarian situation, UNDP is committed to supporting stabilization efforts in Libya and bridging the critical period of transition, from humanitarian relief to sustainable development and democratic governance. Our goal is to ensure early recovery and rapid return to sustainable development pathways in Libya through promoting the sustainable rehabilitation of key infrastructure in the country; enhancing local capacities to improve basic services delivery; and expanding sustainable livelihoods for groups most in need. have now access to basic and social services. 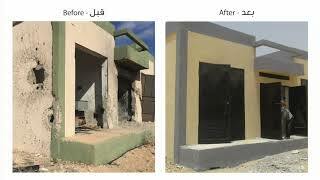 UNDP has rehabilitated 42 public facilities and delivered 62 equipment sets across Libya. Written by Sultan Hajiyev, UNDP Libya Country Director.